Innoshima was a bit of a wildcard. 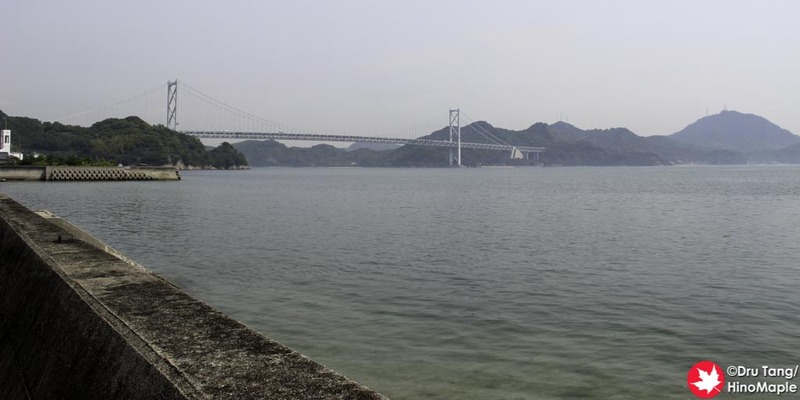 I wanted to visit one of the bigger castles in the Seto Inland Sea so I planned a deviation from the coast. I do regret not getting to see the coast of Innoshima, but I don’t regret seeing what I saw. That is part of the adventure, or misadventure, as this journey proved to be. From the base of Innoshima Bridge, I turned left instead of right in order to head to Innoshima Suigun Castle. I learned that the history of Suigun Castle as a castle is somewhat suspicious, but that didn’t stop me from wanting to visit it. 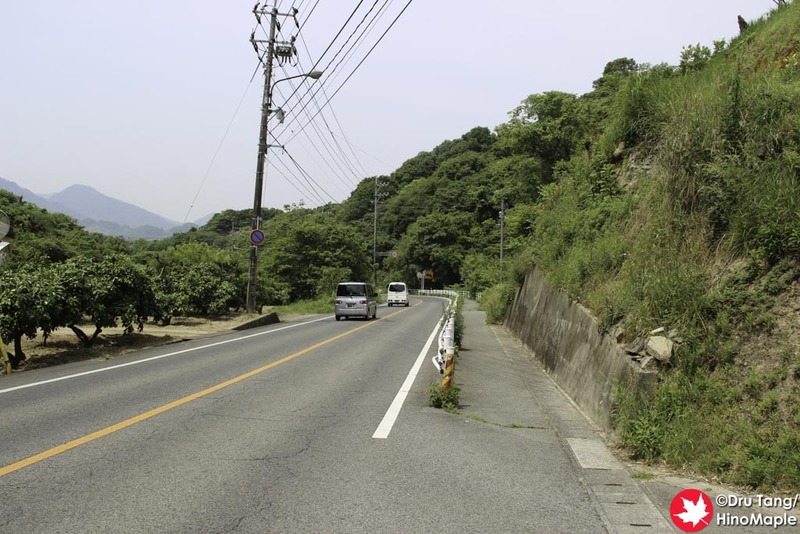 I headed up a small hill from Innoshima Bridge before blazing a trail down into the closest town. It was fun to coast at top speed down the hill and the wind on my face was a great way to keep cool. The entire sidewalk was pretty smooth and wide so there was no worry about crashing, unlike some of the other areas where I went at top speed. Once past the town, I was on the coast again but it was a little dangerous. Without a sidewalk to ride on, the cars had no choice but to pass us. It wasn’t the safest of journeys but it wasn’t dangerous either. Before we knew it, we were at the entrance to Innoshima Suigun Castle. It is very easy to find your way to get there, but it wasn’t easy to get up the last hill to the castle itself. I ended up having to push my bike up the hill. 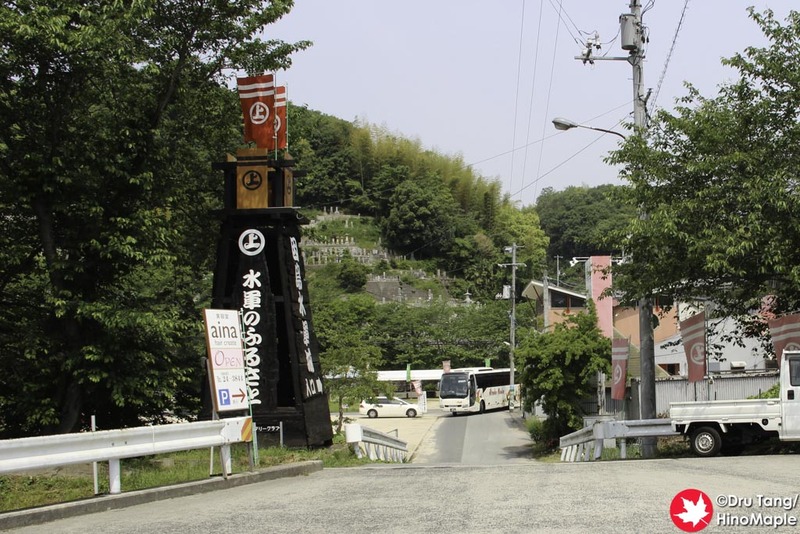 After visiting the Suigun Castle, we headed back to the main road which was a lot busier than we had expected. It wasn’t very busy but it was probably busier than the coastal road that the typical bike route suggested. 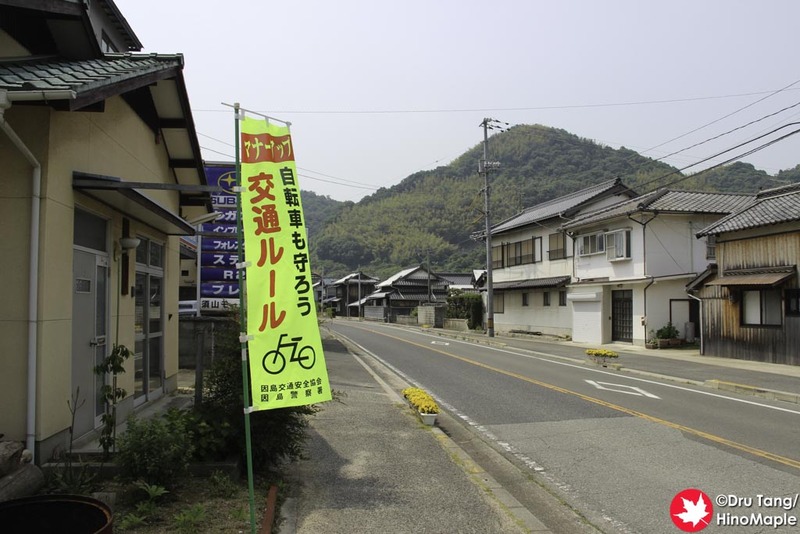 We had a choice to either make our way north to the main cycling road or to continue west along the path we started. We decided to continue west, but that was a big mistake. The route we were following was route 317, and once it met with route 120, the road got very difficult. It was a steep hill up route 317 and while there was a sidewalk, the sidewalk soon ran out just before a tunnel. The tunnel was less than 300 meters long but there was no sidewalk, no shoulder, and just 2 lanes. It was on a slight uphill but for a bicycle, it was not a fun endeavour. I decided to leave my friend who was a little slower than me on hills, and I sprinted from the moment the sidewalk ended to the end of the tunnel. I was scared to say the least. Once I passed the tunnel, and thankfully only a car or two were behind me, I coasted down the hill a bit until there was a place to stop. It took a while before I could catch my breath again but I was happy that I was faster than my friend in that section. I was able to relax a bit and relive the terror a little. I was also thankful my friend was able to hold traffic up for me as he had many more cars pass him, but I was far ahead enough that I didn’t have to worry. 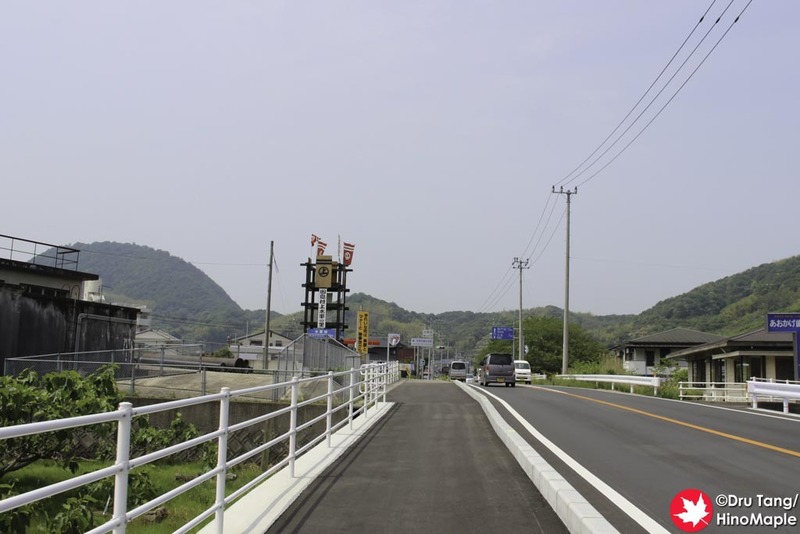 Once we passed the tunnel, it was a very short trip down the hill to the coast before we turned left and headed to the Ikuchijima Bridge. 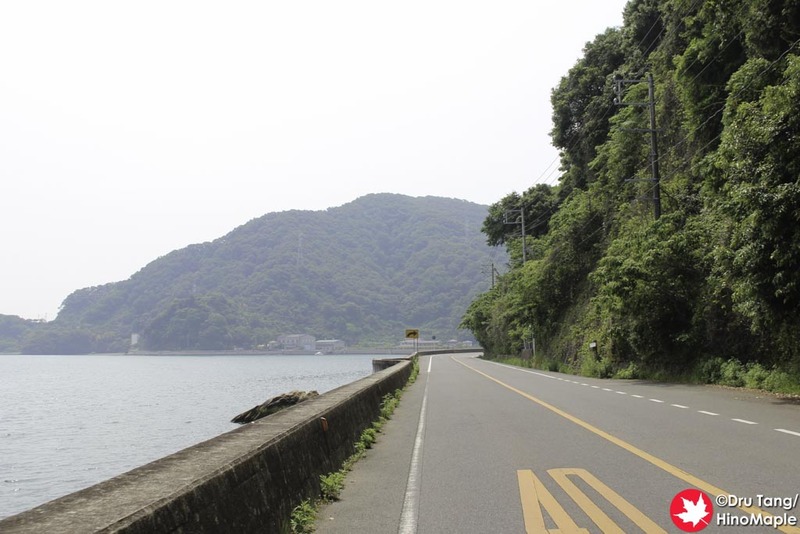 The tunnel on Innoshima was the most dangerous part of the entire cycling trip and a very good reason as to why I, and any friend who has cycled in the rural areas of Japan, HATE TUNNELS! If you see one in your path, beware. They are dangerous for cyclist and you will be cycling for your life! 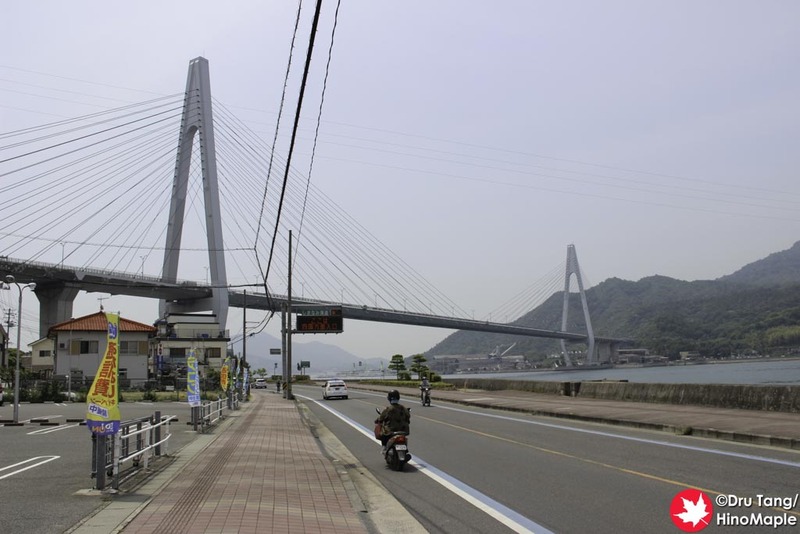 This entry was posted in Chugoku and tagged bicycle, castle, Cycling, Hiroshima-ken, Ikuchi Bridge, Innoshima, Innoshima Bridge, Innoshima Suigun Castle, japan, Onomichi, Shimanami, Shimanami Kaido, Shimanamikaido, Suigun Castle by Dru. Bookmark the permalink.